Scores 26 Highway MPG and 21 City MPG! This Jeep Patriot delivers a Gas I4 2.4L/144 engine powering this Variable transmission. SMOKERS GROUP -inc: cigar lighter, removable ash tray, SECURITY & CARGO CONVENIENCE GROUP -inc: adjustable roof rail crossbars, auto-dimming rearview mirror, security alarm, soft tonneau cover, front seat side-impact airbags, tire pressure monitor, universal garage door opener, vehicle info center, P215/60R17 ALL-SEASON TOURING BSW TIRES (STD). 26B LATITUDE CUSTOMER PREFERRED ORDER SELECTION PKG -inc: 2.4L I4 engine, continuously variable transaxle II, 115V aux pwr outlet, 17" x 6.5" aluminum wheels, air cond, body-color door handles, body-color liftgate applique, driver height adjustable seat, front passenger fold flat seat, heated front seats, illuminated entry, keyless entry, leather-wrapped steering wheel, P215/60R17 BSW touring tires, pwr heated fold-away exterior mirrors, pwr windows w/driver one-touch, speed sensitive pwr locks, steering wheel mounted audio controls, remote start, 60/40 split reclining rear bench seat , DAYTIME RUNNING LAMPS, DARK SLATE GRAY INTERIOR, PREMIUM CLOTH BUCKET SEATS, CONTINUOUSLY VARIABLE TRANSAXLE II -inc: Autostick automatic transmission, tip start, BRIGHT WHITE, 2.4L DOHC 16V I4 DUAL-VVT ENGINE (STD), Variable intermittent windshield wipers, Touring Suspension, Tire pressure monitor warning lamp, Tilt steering column. 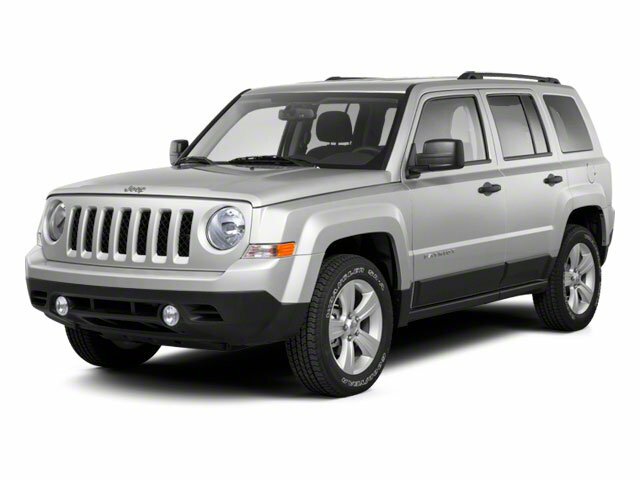 For a must-own Jeep Patriot come see us at Valdosta Nissan, 3715 Inner Perimeter Rd, Valdosta, GA 31602. Just minutes away!